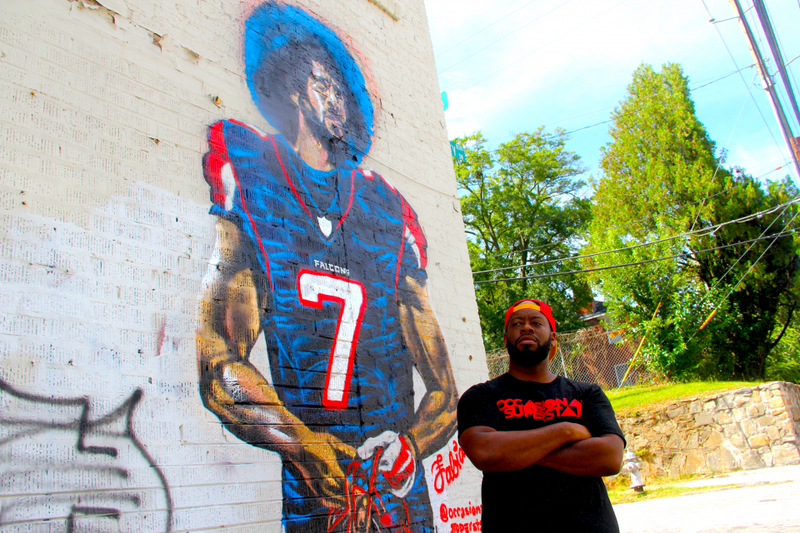 As if on cue, just days before the Super Bowl kicked off in Atlanta on Sunday, the building that was home to an iconic mural of Colin Kaepernick in Atlanta has been demolished. The mural was painted on a building that sits directly across from the city's Morehouse College, an all-male historically black school, but on Friday afternoon (February 1st) it was demolished just as a reported hundreds of thousands migrated to Atlanta for Super Bowl weekend. The Atlanta Journal-Constitution reports that a fire took place inside the edifice six months prior. Nevertheless, the mural still remained. According to mural painter Fabian Williams, the building's owner never had any complaints about the artwork. Williams also revealed that he had plans to return to the mural on Saturday to work on a few touch ups, adding that the decision to destroy the mural at this time did strike a chord.